Bruce Springsteen is not famous in 1973. Not famous in the way he will become, in the way he is now. Born to Run is two years away. 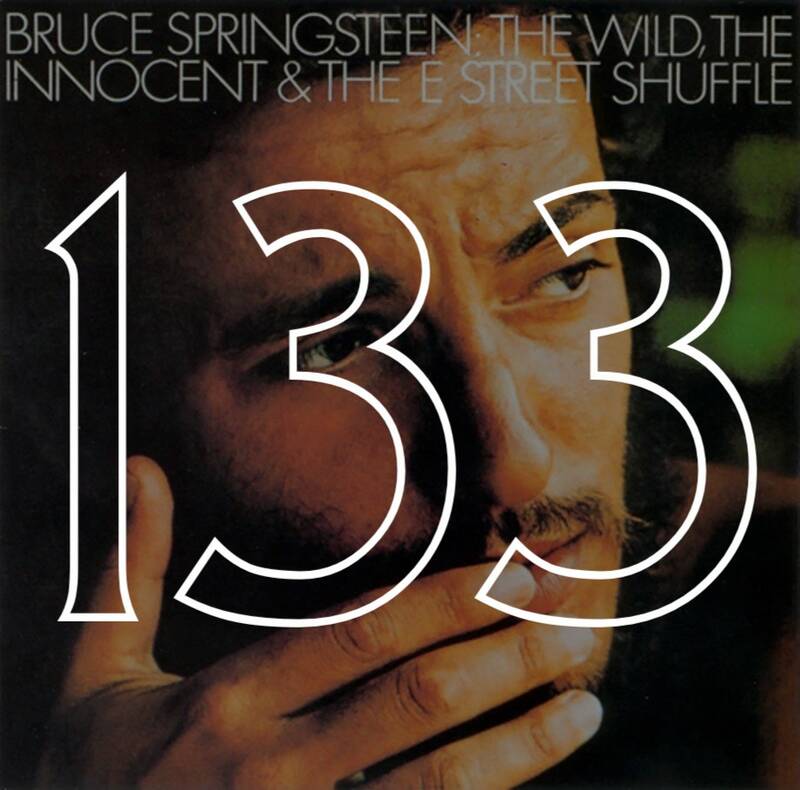 The Wild, the Innocent, and the E Street Shuffle drops barely nine months after his debut Greetings from Asbury Park, N.J. and is met with some critical success but does not do well commercially. Springsteen is skinny in 1973. Wiry and rangy with a scruffy beard and a closet full of tank tops. He looks like someone who knows how to replace a serpentine belt. Julia Pellington is 16 in 1973. Most people call her Julie, not Julia, her father and brothers—all seven of them—call her Dame. She is skinny in 1973. There aren’t a lot of pictures of her as a child, as a teenager, but I must have seen one because I can imagine her at 16. A red T-shirt tucked into bell bottoms, dark hair feathered around a face that looks like mine and does not look like mine. Christopher Carlton is 20 in 1973. Barely making grades in his accounting classes at St. Vincent’s. More interested in playing hockey, listening to records, reading Tolkien. He is skinny in 1973. There’s a picture of him at Christmas, cross-legged in front of a decorated tree, holding a copy of a Louis Armstrong biography and smiling at the camera. Conductor’s cap and thick framed glasses. A scraggly beard and a homemade Red Hot Dollars T-shirt. He looks like someone you’d see in a craft brewery in Brooklyn or Highland Park. I’ve never been to Asbury Park. Our family vacation to the Jersey Shore always found us in Avalon or Stone Harbor. My parents rented the house so we’d be at the beach for the Fourth of July. I’ve never been to Asbury Park, but I have stood with my feet in the sand and my face toward the sky, watching fireworks explode twice—once in the sky, once on the waves. My parents, Julie and Chris, met for the second time when my mom came back to Columbus after spending a summer as a camp counselor in Michigan. They were at Max and Erma’s, a Columbus chain restaurant with telephones in each booth so you can call other tables. My mom with her boyfriend, Dominic. My dad with another salesman. Dominic left my mom at to talk to some girls at another table. My mom says my dad saw her alone at the table and that his face lit up. That he’d been asking about her at the National Road, wondering where she’d been all summer. My mom says that’s when she knew. They were engaged two months later. Both my parents are from New Jersey. My mom is from Red Bank, down by the shore. An only girl with seven brothers. Making halter tops from bandanas and hand-me-downs. My dad’s family moved around before settling in Short Hills. My grandfather taking the train to his office in Manhattan. My dad making pocket money as an alter server for funerals at St. Rose of Lima, the same church where both his parents will one day be buried. The Pellingtons moved to Columbus, Ohio in 1970. My parents met there in 1979. My mom was working her way through Ohio State as a bartender at a place called the National Road. My dad was a salesman for a small chocolate company. His territory was Ohio and Michigan. Until they met again at Max and Erma’s in the fall of 1979, my mom only knew him as Chris who drank Heineken. Families create their own mythologies. The stories they tell each other to remember, to connect. When I was really little, my mom used to tell me Greek myths while I helped her dry dishes. We lived in the house attached to the restaurant my parents ran. There was an industrial dishwasher in the restaurant kitchen, but none in our own. She told me stories of Titans, Cronus eating his children. Athena springing in full armor from Zeus’s head. Persephone in the underworld. There were the stories on the stereo, from the records my dad played. Sandy. Spanish Johnny and Jane. Rosalita. My parents put headphones on my mom’s pregnant belly and played Springsteen records for me. The story my sister and I wanted most of all to hear was the story of how my parents met. We thought Springsteen should write a song about them, even though they fell in love in Ohio. I learned to tell stories from my mom. Her retellings of Greek myths, or Edgar Allan Poe, or whatever novel she was teaching her eighth graders. The story of how she and my dad met. The story of the day I was born. I learned to tell stories from the books my dad read me before bed: Rascal, The Secret Garden, The Hobbit. From the records he played. From Springsteen. I think about the stories I’m going to tell my son. The story of how his grandparents met. The story of how his dad and I met. I am waiting for my belly to get big enough for headphones to fit, waiting to introduce him Sandy and Johnny and Jane and Rosie and Bruce.